“I Never Woke Up” by Snailhouse, from the album Sentimental Gentleman (out via White Whale Recs / Forward Music Group). The song’s vivid dreamscape has been eerily and beautifully extended into the visual realm by co-directors Jared Raab and Lindsay MacKay. Montreal based artist Mike Feuerstack (aka Snailhouse) has racked up quite a reputation. Over the course of 5 albums and an EP, Snailhouse has garnered many fans and featured collaborations with an impressive list of Canadian artists such as Julie Doiron, Dave Draves, Angela Desveaux, members of Arcade Fire, Wintersleep, Bell Orchestre, Maritime and The Acorn . Matching clever wit with an honest delivery, Feuerstack’s songs ring instantly true and recognizable before they’ve even hit the chorus. 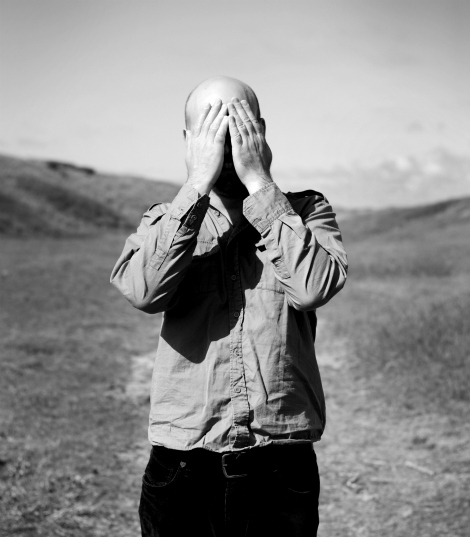 Mike’s latest record again features Jeremy Gara (of Arcade Fire) handling mixing and co-production duties and is out via White Whale Records and Forward Music in Canada and Mi Amante Records in Germany. 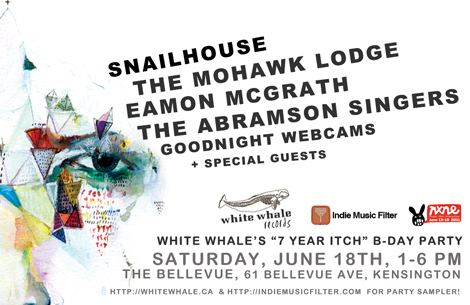 Snailhouse performs on Saturday, June 18th as part of the White Whale Records 7-year-itch B-Day party during NXNE. 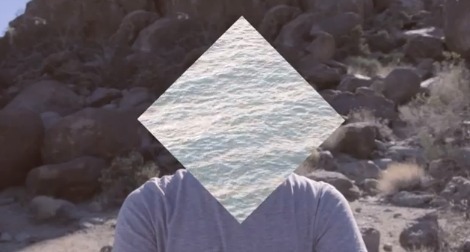 To celebrate 7 years of bringing you great Canadian indie music, Vancouver-now-Toronto based label White Whale Records want to throw a party, afternoon showcase style during this years NXNE festival. Montreal’s Snailhouse will headline the event with support from The Mohawk Lodge, Eamon McGrath, The Abramson Singers and Goodnight Webcams. Check them all out in the player and download the tracks here. I’ll be featuring all of the bands on this site leading up to the party as well as updating you with more details as I get them. Hope to see ya there.